Perhaps this post will read a little like a humblebrag, but it’s for something I didn’t accomplish, so I cannot really take credit for it in any way, shape or form. I laugh and laugh at the presumption. Yesterday, I got up at 5:00 as is my wont, and according to my FitBit, I had already burned 579 calories. 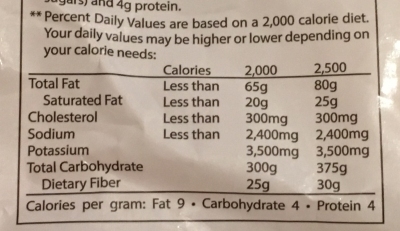 Friends, this would mean I would burn about 2800 calories a day sleeping (and going to the bathroom once or twice). 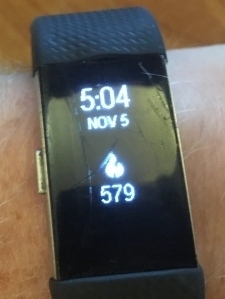 That might be a little high for the sleeping burn, but if I exercise at all, I get close to 4000 calories a day on the FitBit. Extra active days, like a couple of weeks ago when I ran a 5k and then shoveled mulch for my children’s school, I burned nearly 5000. Of course, these are FitBit calories, and the numbers on the FitBit are precise but not necessarily accurate. It does kind of match up with what I have experienced all my life. How long it took me to put on any weight at all even when I lifted weights regularly. The fact that my sainted mother lived on nothing but junk food and weighed about 100 pounds her entire life. So excuse me if I don’t watch what I eat. There’s so much of it; I can’t see it all. Now, I am off to make a full breakfast.